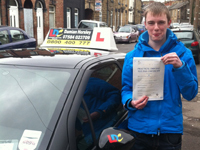 I would like to say a big thank you to my instructor Damian for helping me pass my driving test. Damian always made lessons enjoyable and always assured me that i was in control of what we did during the lessons not only did he make me fully prepared for my test, he also made me fully prepared for driving by myself. 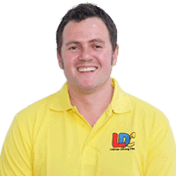 I would definitely recommend Damian and the LD system.